What would happen if you take Jennifer Garner, pair her up with the dude who directed Taken and basically turned her into The Punisher? The first trailer for Peppermint is here to answer that question. This may not be something you knew you wanted, but it may well be something you're interested in after seeing the trailer, as Garner makes a strong case for becoming an action star. Enough time has passed for us to forget Elektra. The trailer seems to borrow a lot from the Punisher movie that starred Thomas Jane as the titular Marvel hero. We see Jennifer Garner's family gunned down in similar fashion and she emerges years later to exact her vengeance on the criminals responsible. There are also elements of Eli Roth's recent Death Wish remake here, with a regular citizen cleaning up the streets and public opinion on her side. Not everything here looks completely amazing, as there are certainly some melodramatic elements at play, but this seems like the kind of movie that could sneak up on us this fall. After all, John Wick came out of nowhere. Why can't Peppermint do the same? 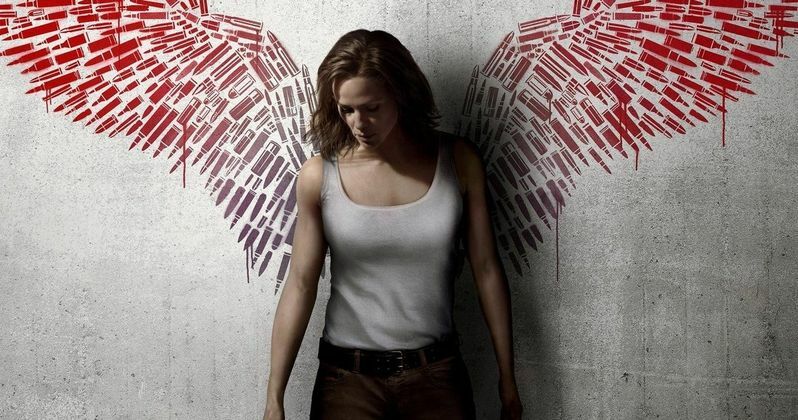 Peppermint is an action thriller which tells the story of young mother Riley North (Jennifer Garner) who awakens from a coma after her husband and daughter are killed in a brutal attack on the family. When the system frustratingly shields the murderers from justice, Riley sets out to transform herself from citizen to urban guerilla. Channeling her frustration into personal motivation, she spends years in hiding honing her mind, body and spirit to become an unstoppable force, eluding the underworld, the LAPD and the FBI, as she methodically delivers her personal brand of justice. The movie comes from director Pierre Morel. He's the man responsible for turning Liam Neeson into an action star with Taken. He didn't direct either of the unfortunate sequels, but he also hasn't directed anything worth bragging about in the decade since, with movies like From Paris With Love and The Gunman under his belt. Maybe getting back to his revenge-driven action roots will be the thing that turns it around. Morel directs from a script by Chad St. John (London Has Fallen). As it happens, St. John is the man who wrote the 2012 unofficial Punisher short Dirty Laundry that brought Thomas Jane back and was received quite well by fans. So the fact that there are parallels here isn't so surprising. The cast includes Jennifer Garner, John Ortiz, John Gallagher Jr., Juan Pablo Raba. The action flick is set to arrive in theaters on September 7. That's something of an odd time. It's either where studios dump their garbage or, in some cases, where we get something special like IT last year. New line is releasing The Conjuring spin-off The Nun on the same day and could represent some stiff competition. Be sure to check out the first trailer for Peppermint, courtesy of the STX Entertainment YouTube channel, for yourself below.